Container Essentials LLC, an independent specialist in sourcing and supplying reusable commercial containers for scrap recycling and industrial customers, has expanded its product lineup with the ArmorBin®. Chicago, IL, December 11, 2018 – Container Essentials LLC is pleased to announce the introduction of the ArmorBin® to its extensive lineup of reusable commercial containers. To celebrate, they’re offering special introductory pricing for a limited time. The ArmorBin® is available in heights ranging from 33" to 62", and the ArmorBin® fork-entry system has been engineered with a large radius to help deflect fork strikes. 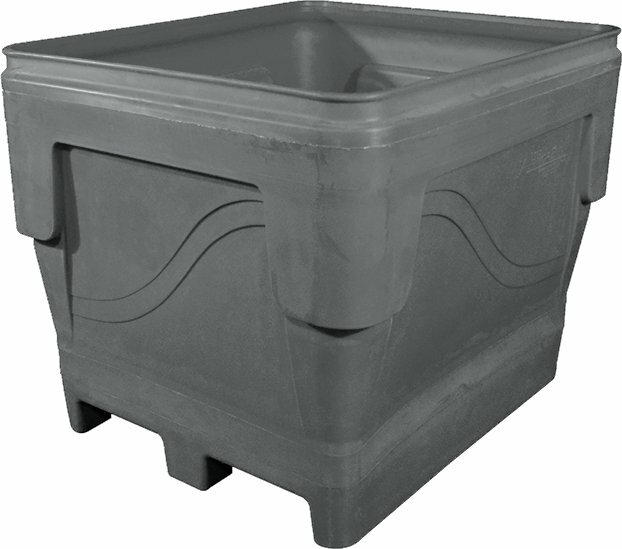 The ArmorBin® in the strongest, most durable plastic bin available in today’s market. We’re excited about the ArmorBin®. It’s perfect for customers who need exceptional durability, and since it’s available as a rotator, it’s a good fit for our industrial recycling customers. It’s a strong addition to our lineup”, said Steve Phelps of Container Essentials. Full product specifications on the ArmorBin®, as well as the complete Container Essentials product lineup, can be seen at www.ContainerEssentials.com.